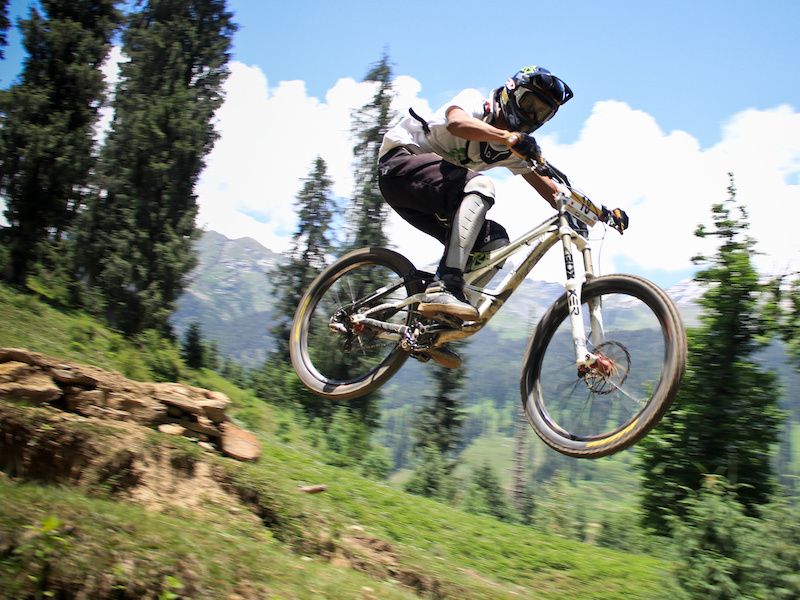 The Himalayan Mountain Bike Festival got postponed for next season which means the first big downhill mountain bike race of India was getting postponed too. 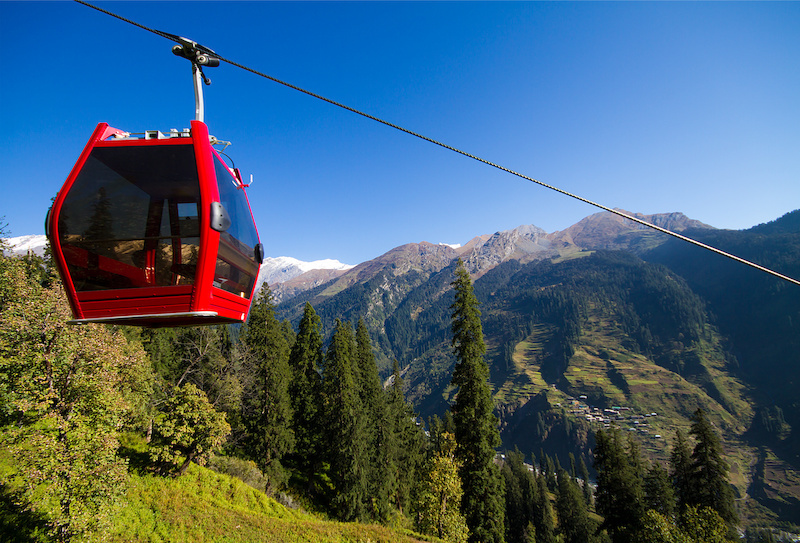 It was not because of monsoons… Just the time and funding was not enough for this concept in India. S#!t happens when least expected. 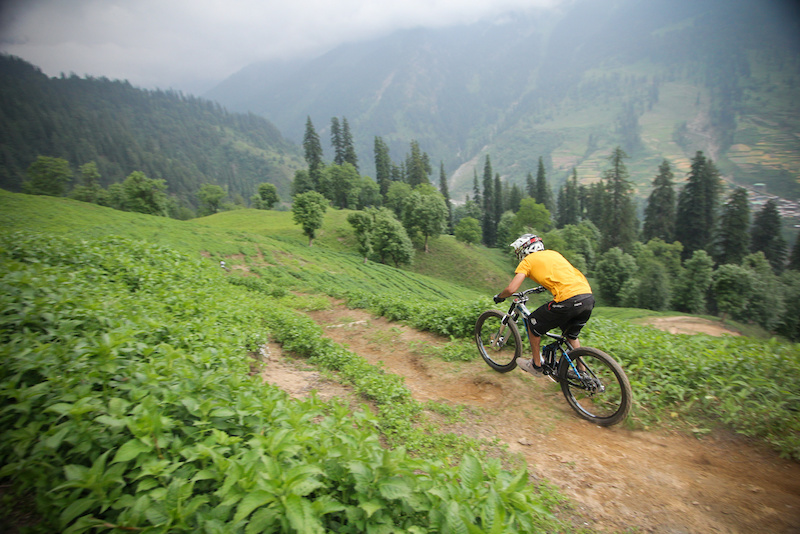 The riders were already training and looking forward for this DH race in India, so a quick decision had to be taken and it was decided that Himachal Downhill Mountain Bike Trophy which was part of Himalayan Mountain Bike Festival will take place in first week of July 2014. 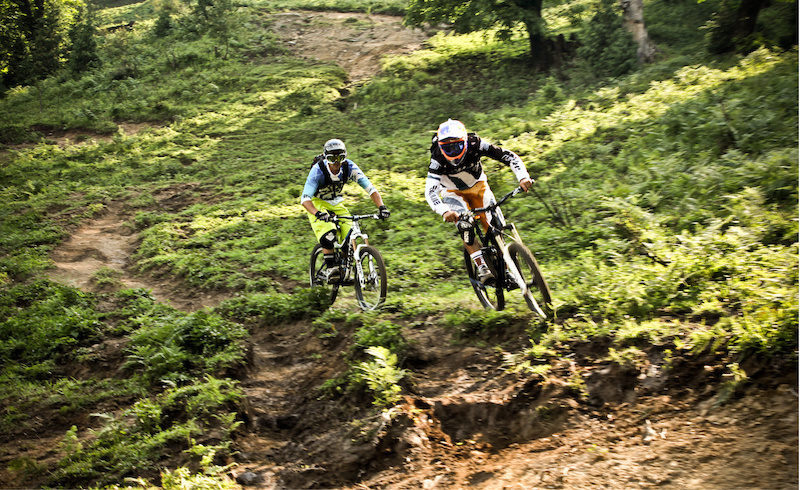 To make it even better a XC race was also planned too. 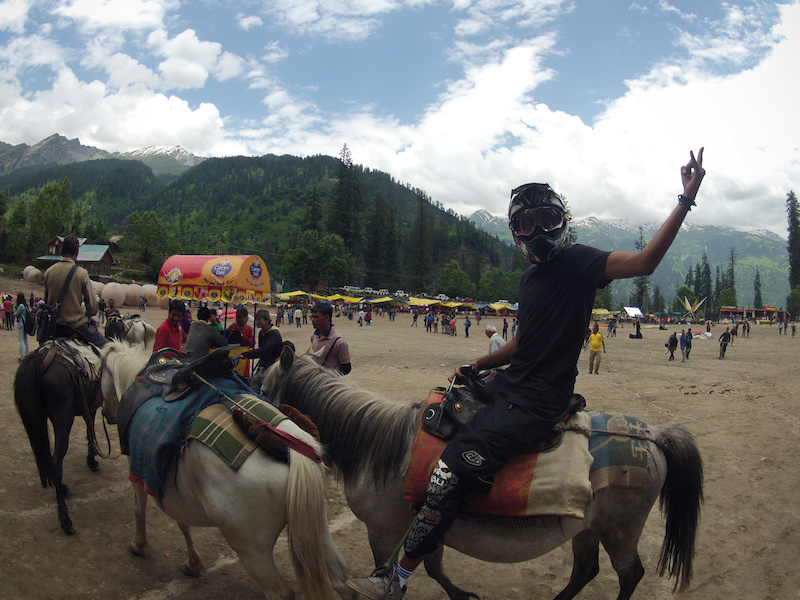 Solang Village in background. 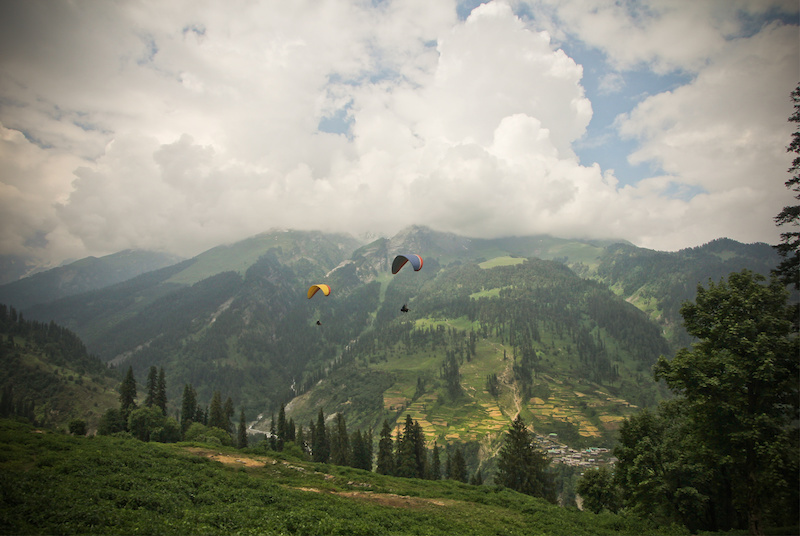 It's the last village of Kullu district in Himachal Pradesh. 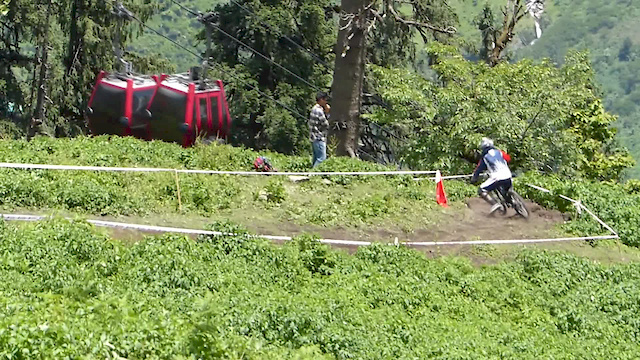 James Frampton from Gravity Assault Tours guiding to shape the track. 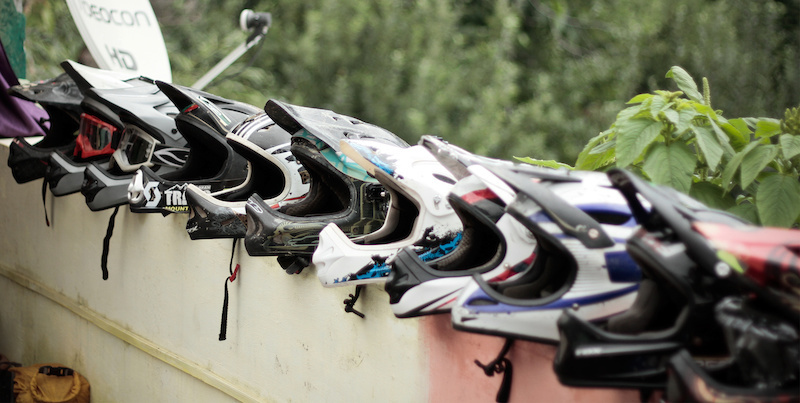 Famous Indian riders; Vinay Menon, Piyush Chavan and Ajay Padval reported a week in advance and so did James Frampton – a British rider who proved to be a big big help to finish the race track and lot of other things required for this race. Finally the track was A-Ok and was tested side by side. As monsoons season was arriving here, the rain God’s poured lots of water on the track, on us and my camera gear which is dead unfortunately. In the end the job got done and all were happy + ready for this event. Meanwhile, the dudes from Nepal, Italy and other parts of India started arriving with their bikes and the town looked like a big party place. Bikes and curiosity everywhere. How’s the track? Is it too technical? Is it gonna rain? Can I complete my registration tomorrow? These questions were topped up with more queries from locals and tourists. 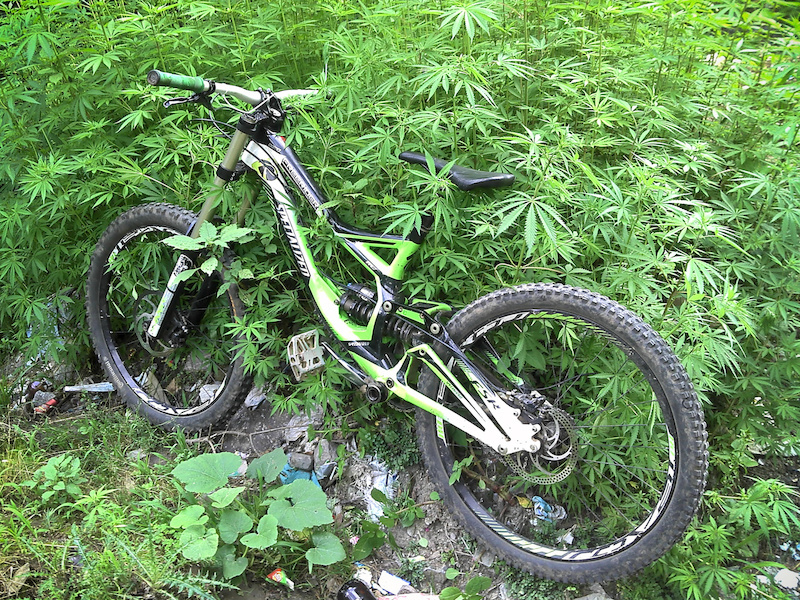 The most common question – How much does this bike costs? After all queries answered; It was time for some beer. 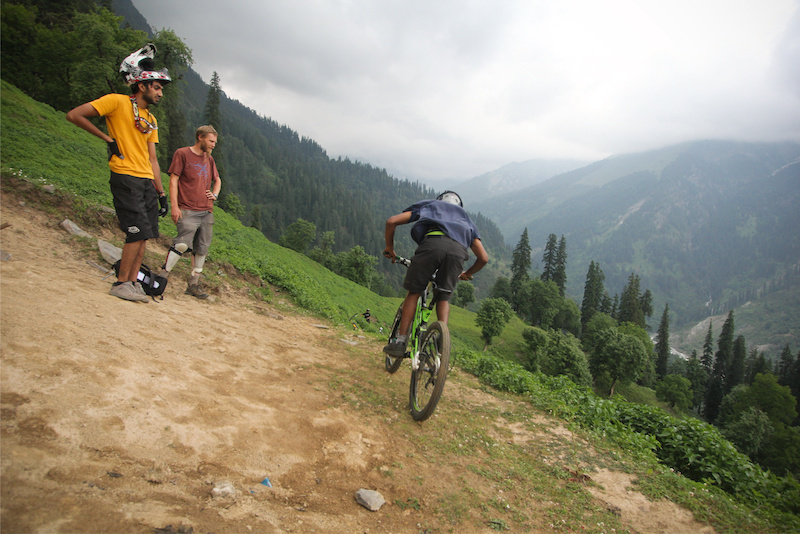 Lots of beer and food to be precise and gear up for the following practice day which turned out to be the best riding time I had in Manali. Gautam Taode going fast as usual. 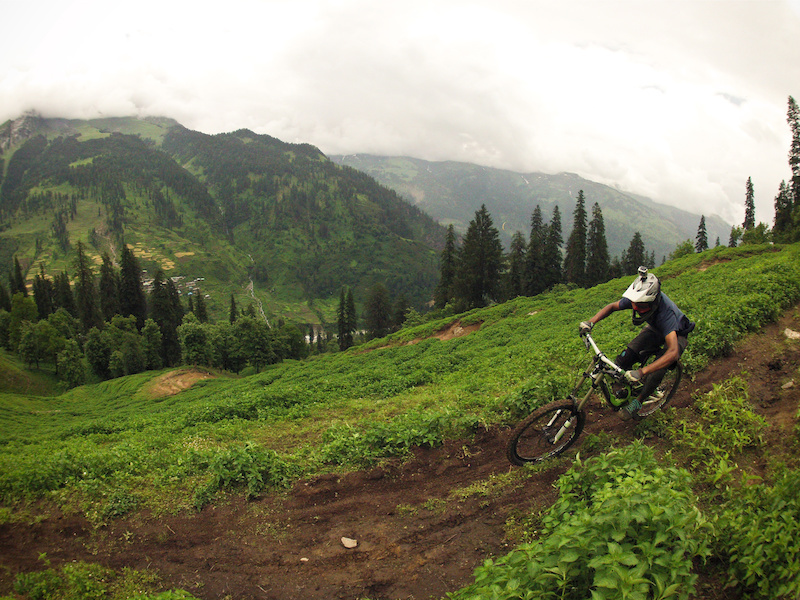 Piyush Chavan getting used to the Himalayan trails. Rain just made it better. Just a regular pit stop in BRO Land. The tourists will not hesitate to enter the start line and pose with you. 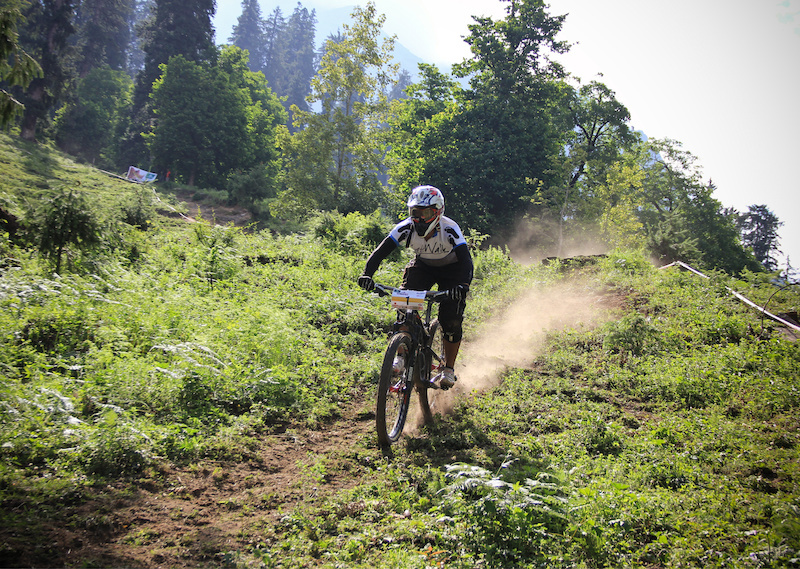 Himachal Downhill Mountain Bike Trophy officially starts - Jeewan rolls down the course. 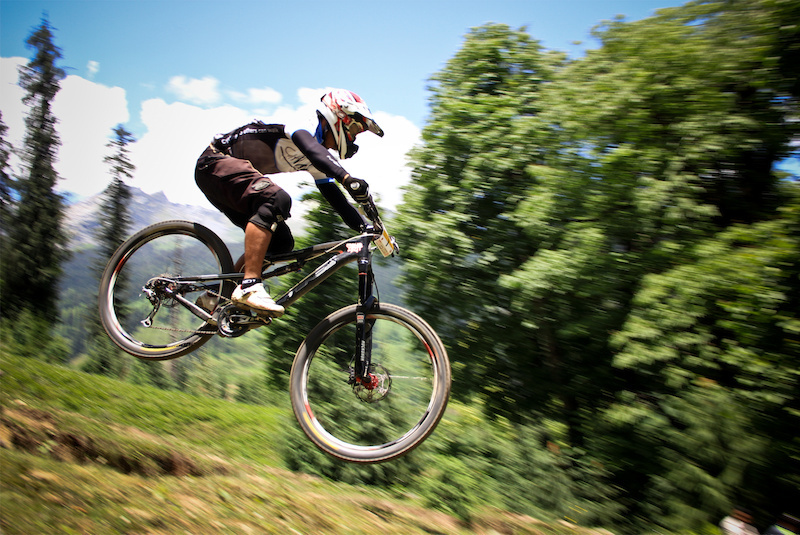 Too Much – Too Young – Too Fast: Piyush Chavan grabbed the Himachal Downhill Mountain Bike Trophy and was super stoked to win the most wicked mountain bike race of India. 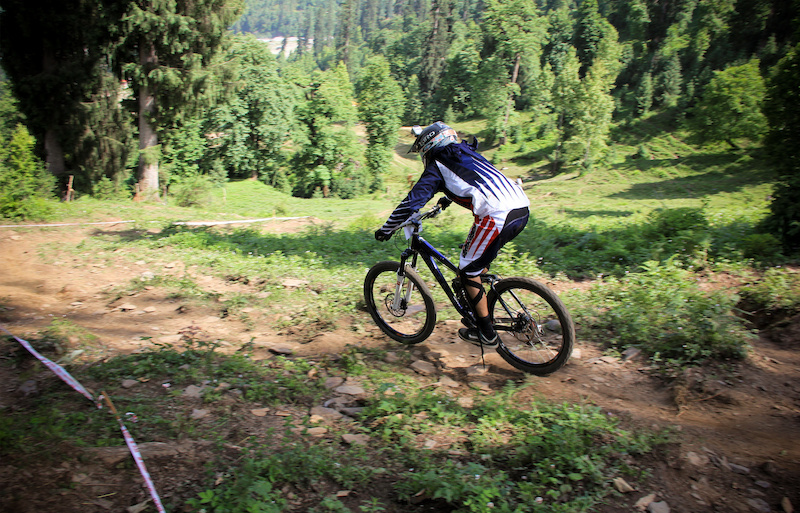 Quick highlights of the 1st Himachal Downhill Mountain Bike Trophy 2014. 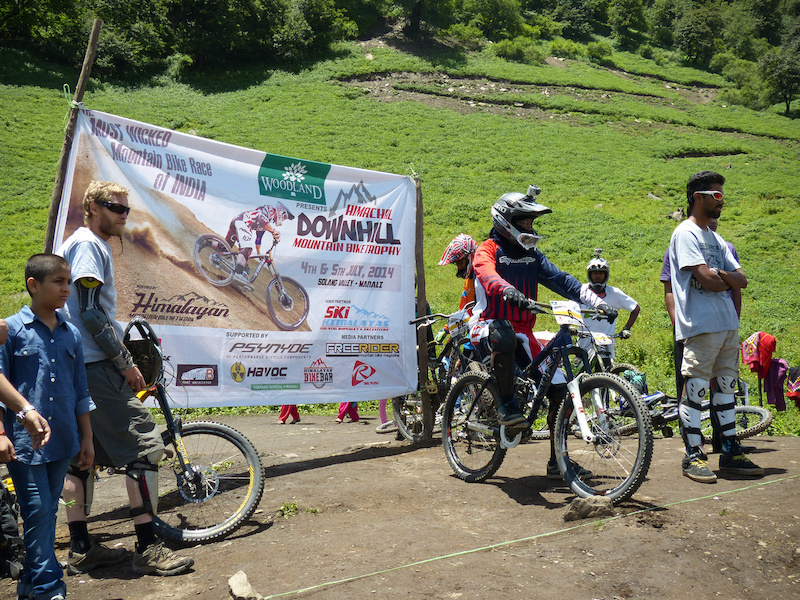 Himachal Downhill Mountain Bike Trophy was proudly organized by Himalayan Mountain Bike Network (www.himalayanmtb.com). 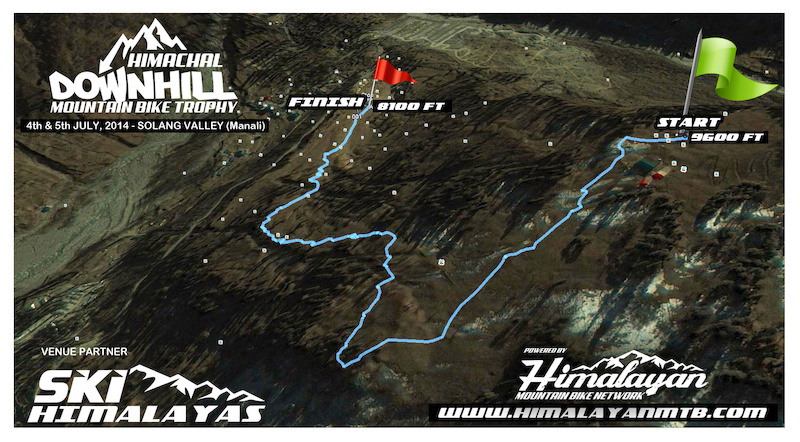 The race was made possible with the help of generous sponsors: Woodland, Firefox Bikes, Ski Himalayas and Psynyde bicycle components. 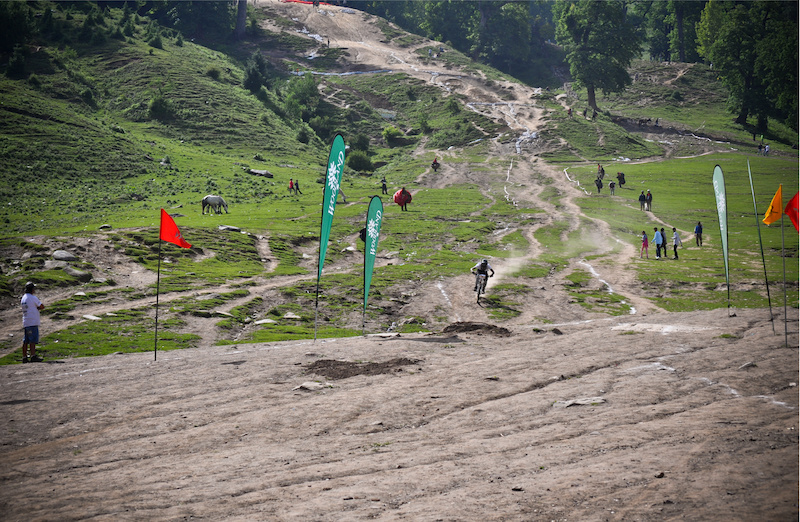 It was not easy without these supporters: Freerider Mountain Bike Magazine, Big Rush, Havoc Wear, Gravity Assault Tours and Himalayan Bike Bar. 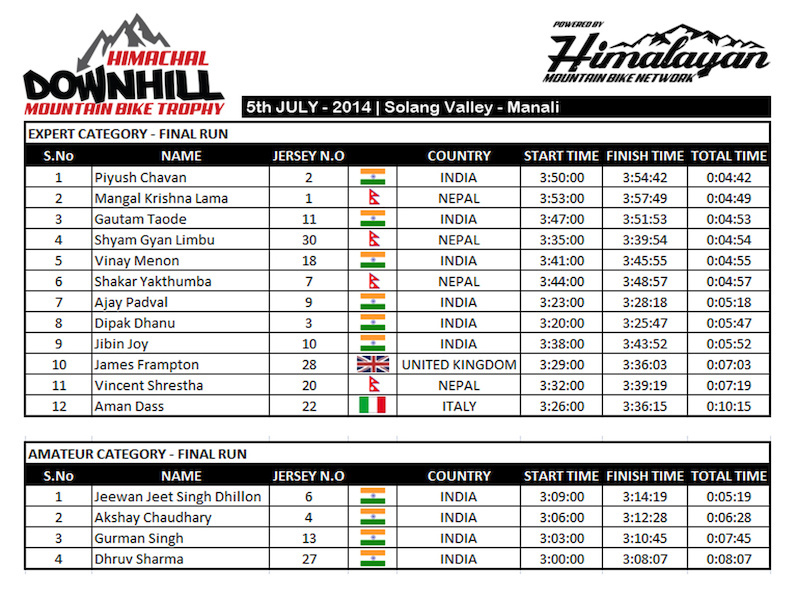 See you in the Indian Himalayas!